Shawn Mendes "Treat You Better" (2016) Directed by Ryan Pallotta. It features a plot revolving around a situation of violence between couples. The video shows a girl being abused by her boyfriend in various situations, while Mendes hopes to be with her and struggles to understand why she prefers to be in that relationship. The video ends displaying the number for the National Domestic Violence Hotline. The music video also stars Devon Aoki's half sister Ellie Stuart Hunter  played with a guitar, drums and tambourines. SHOT SIZE: Mid Shot. CAMERA ANGLE: Eye Level. LIGHTING: Low Key quality, film noir style. CAMERA MOVEMENT: Hand held. Justin Bieber "One Time" (2009) Directed by Vashtie Kola.In the music video, Usher, Bieber and Butler all portray themselves as the latter two are at Usher's house playing video games. Bieber receives a phone call from Usher, in which he asks him if could he watch the house until he gets back. After agreeing, Bieber holds a house party and tries to get close to one girl in particular, played by Kristen Rodeheaver, but is disappointed because he thought they were bonding but at the end of the video when they are sitting together at the pool, she kisses him on the cheek, then leaves. Originally, Rodeheaver and Bieber were supposed to hold hands and jump into the pool, but it was too cold. He then stands up and gets caught by Usher. SHOT SIZE: Mid Shot. CAMERA ANGLE: Eye level/ slight low angle. LIGHTING: Low Key quality. CAMERA MOVEMENT: Hand Held. Has been shot at 50 fps as footage has been slowed down. Katy Perry "Hot n Cold" (2009). Directed by Alan Ferguson. The video begins with Perry at a wedding, about to exchange vows with her diffident fiancé Alexander (played by actor/model Alexander Francis Rodriguez). Perry says her vows, but Alexander hesitates and the church anxiously waits for him to say "I do". Perry appears frustrated and the music begins to play, with the congregation dancing as disco lights flash. Perry begins to sing the song to Alexander before he flees the altar. She pursues him, and they proceed to play a cat-and-mouse game. Perry corners him in a warehouse, and Alexander is pulled into an audience and forced to crowd-surf while watching Perry perform the song on stage. He manages to escape but walks out to find Perry in her wedding dress surrounded by several other brides carrying baseball bats. Perry confronts him, but he is able to get away. Perry and the other brides chase after him. When Alexander pulls out his phone, Perry is on the screen singing to him. He flees the warehouse and finds Perry outside wearing urban clothing, surrounded by dancers dressed similarly. When he turns around, he discovers that he has been cornered by Perry and the group of angry brides. He stumbles and the dancers surround him as he lies on the ground, before Perry approaches him leading a zebra on a leash. Alexander blinks and finds himself back at the altar in the church, revealing that the previous events were just his fantasy. The priest asks him again if he accepts his vows, and this time he says "I do". The crowd in the church breaks out into cheers and sighs of relief as Perry runs victoriously down the aisle with him. SHOT SIZE: Over the shoulder shot. CAMERA ANGLE: Eye Level. LIGHTING: Naturalistic high key. CAMERA MOVEMENT: Still. EDITING: Manipulation of colour. Anna Kendrick "Cups" (2013) Directed by Jason Moore. It opens with Anna Kendrick in a restaurant's kitchen cutting dough into biscuits with a tall cup, while looking up longingly at some postcards of far-away places, such as Scotland, stuck to the refrigerator. She puts the buns in the oven, sets a timer, and dusts her hands off with an oscillating fan, before pausing a moment, and then starts the song using the cup on the table. In a long continuous shot, she washes her hands, takes a plate of food from the chef, makes her way out into the dining area, where all the customers are drumming the cups in various ways. The camera then follows her singing and collecting dirty dishes, etc. before it pans around and back out wide, showing the entire diner doing the routine, during the bridge section. It then cuts back to her walking back to the kitchen, passing the chef now drumming with a cup instead of wooden utensils, and follows back to her at the table. As the song ends the timer rings, and she looks back up, out towards the dining area where everyone is now normal (realizing it was all her imagination). Taking one last look at the chef, she smiles and escapes out the back door. SHOT SIZE: Mid Shot. CAMERA ANGLE: Eye level/ slight low angle. LIGHTING: Low Key quality . CAMERA MOVEMENT: Handheld. EDITING: Manipulation of colours. Music videos tend to include many long shots, close ups and mid shots. This is to create emphasis on the artist, location and emotions. Also, close ups are used not only to show emotions but to reflect the words of the song with the movement of the lips of the artist. Camera Movement: The movement of the camera is used to follow and trace the artist or band. Camera movements include tilts, pans, tracking and crane shots. This refers to the arrangement of performers and props on stage or in a scene for a production of a music video or any other media text. Mise-en- scene puts importance on the representation of something. An example is, someone walking down a road alone, being in an isolated room. This reflects the isolation from his lover. Also, the props include hats and dark clothes which represent the down mood of the song. Jump cuts is the predominant editing technique used in music videos. This is because this allows a sudden change from one scene to another. Similarly, transitions such as fade and dissolve are very common in music videos as they create a different effect to cuts. Some music videos are black and white which help emphasise a particular mood and some videos have artificial lighting which put the artist/s in an enhanced look. Sound is mainly the vocals or the song but in some cases such as Michael Jackson – Thriller, the producers can make the music video into a short film. These are a vital in aiding to add to the scene and create significance on particular objects or people. This goes with the scenes in the song and reflects the genre. Costume is an important factor because it has a slight influence on how the viewers will dress because they use some of the celebrities as role models. 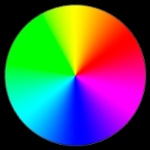 Colours tend to set the mood of the song through creating an atmosphere. For example, dark colours are used more in rock songs such as Kings of Leon and bright colours are seen to be used more in hip hop and pop videos. Michael Jackson "Thriller" (1983) Directed by John Landis. Michael Jackson's Thriller is a 14-minute horror-themed music video for the song of the same name. On a night set in the 1950s, a teenaged Michael and his unnamed girlfriend (Ola Ray), run out of gas while driving in a wooded area. They walk into the forest as they leave the car behind and Michael asks her to be his girlfriend. She accepts and he gives her a ring. However, he then tells her that he is "not like other guys." She tells him that's the reason she loves him, but Michael insists that she doesn't understand what he means. As his girlfriend asks what he's talking about, a full moon appears, and Michael begins transforming into a werecat, growling at her to leave in the process. The girl screams in terror and attempts to escape, but the werecat chases her, knocks her down, lunges at her with his claws, and attacks her (off-screen). The scene then cuts to a movie theater where Michael and his unnamed girlfriend, along with an excitable audience, are actually watching the scene unfold in a Vincent Price horror movie titled "Thriller". Afraid, Michael's girlfriend leaves the theater and Michael follows, telling her, "It's only a movie." Some debate follows as to whether or not she was scared by the movie; she denies it, but Michael disagrees. They then walk down a foggy road as Michael sings verses of the song excluding the chorus. They pass a nearby graveyard, in which the undead begin to rise out of their graves as Vincent Price's speech is heard. The zombies corner the two main characters threateningly, and suddenly, Michael becomes a zombie himself. The zombies then break into an elaborate dance number, followed by the main chorus of "Thriller" (during which Michael reverts to human form), frightening his date to the point where she runs for cover. Michael (who has turned back into a zombie) and his fellow corpses chase the terrified girl into the room of a nearby abandoned house. While being cornered, Michael then reaches for the girl's throat as she lets out a horrifying shriek, only to awake and realize it was all a nightmare. Michael then offers to take her home, and she happily accepts. As they walk out of the house, Michael turns to the camera with a sinister grin, revealing his yellow werecat eyes from the opening scene, as Vincent Price offers one last spine-tingling and echoing laugh. SHOT SIZE: Mid shot/ two shot. CAMERA ANGLE: Eye level/ slight low angle. LIGHTING: Low key quality, film noir. CAMERA MOVEMENT: Hand held. Looking to take it’s audience on a “weird car ride”, Matthew Goodhue’s short film/music video (for the song Dames by American Tomahawk) hybrid Dames is an unusual blend of comedy and horror, reminiscent of Jemaine Clement and Taika Waititi’s What We Do in the Shadows. Consisting of just five shots, all filmed within (or attached to) a car, director Goodhue came up with his inventive approach when trying to think of ways to include his audience within the narrative. With the music video elements of Dames subtly done – the American Tomahawk track plays on the car radio only at certain points in the film and often quite subdued – the contrast between the film’s scenario and the tone/mood of the track makes for an interesting juxtaposition. “With the song and story happening simultaneously, we wanted to create a strange tone that was kind of uncomfortable but entertaining to watch”, Goodhue explains. SHOT SIZE: Two shot. CAMERA ANGLE: Mid shot. CAMERA MOVEMENT: Still. LIGHTING: Low key. Manipulation from what appears to be a sheet light. SOUND: Dialogue. SHOT SIZE: Over the shoulder shot. CAMERA ANGLE: Eye level. LIGHTING: Low key quality, film noir style. MOVEMENT: Still. SHOT SIZE: Close up. CAMERA ANGLE; Eye level. LIGHTING: Low key . CAMERA MOVEMENT; Still. SHOT SIZE: Mid shot. CAMERA ANGLE: Eye level. LIGHTING: Naturalistic. CAMERA MOVEMENT: Still. ACTING: Actors, who a female appears to be angry due to her facial expression. Her eye brows which are raised together with her stern eyes create a sense of anger. They have the ability to affect our emotions and moods in a way that few other things can. Your own feelings about colours can of course also be very personal.